The summer of 2015 is well and truly here and the Canary Islands are more popular than ever with record numbers of visitors holidaying in our beautiful and safe resorts. I moved here in 2008 and am still delighted to discover new beaches and to find out more about the Canarian unique perspective on life. The company I founded, Smoothie Solutions, has quickly grown to become the market leader in the creation and supply of premium smoothies throughout the Canaries. We manufacture our products to the highest standards using our exclusive, award winning, secret recipes and in numerous taste tests, Smoothie Solutions is chosen above all other brands time and time again. This year we signed an agreement with a major retailing chain to sell our products throughout Spain. We already sell to customers in Scandinavia and other countries. We have increased our product line to include three distinct brands I-Love Smoothies, Smootheelicious and Smoothie Dreamz and I would like to thank everybody who has been a part of the creation of these three premium brands. 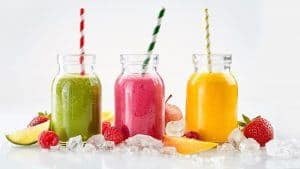 At Smoothie Solutions we believe our customers should always have the highest priority and our comittment is to offering an exceptional service to all of customers regardless of the volume of sales. Earlier in the year we began our seven day a week delivery service as we know how important it is for our customers to not run out of smoothies. We are the only company in the Canaries that offers a guaranteed delivery of all our customers orders within 24 hours of receiving the order – 7 days a week – 365 days a year. Very often we even deliver our orders within a few hours on the same day – and on the very, very rare occasions when we don’t deliver within 24 hours – our customer receives their entire order for free. I’d like to take this opportunity to also once again thank all of our customers for their confidence in us over the years. Each one of you is very valuable to all of us at Smoothie Solutions and we appreciate your confidence in us. – I’ve just noticed the thermometer – and right now it’s a pretty warm 34 degrees C.
I’ve checked out the company book of rules – there’s not many – but I’ve found a recommendation that advises everyone “to always stay cool”. I’ve therefore made an excecutive, on-the-spot decision – to go and make a Papaya Playa Smoothie for myself. We’ve changed the recipe and it is one our latest and tastiest Smoothies. And after that . . . ? Well let’s take one step at a time.